Mp3 players have been around for ages now and seem to have well and truly taken over from the older technologies like CD and minidisk players. Mp3s boast great sound quality with the added advantages of being downloadable, compact and easy to copy. But now there is an even bigger advantage. Many music players are now offering the ability to play video files as well. This means that you can watch your favourite TV shows, movies and video clips anywhere you want, right there on the screen of your mp3 player. Sound interesting? Here’s how to get started. Not all mp3 players are capable of supporting video playback. If you already have an mp3 player, then you will need to check its manual to see if it has video support. However, if it has a reasonably sized colour screen, then the chances are that it was designed to play video as well. 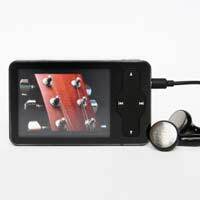 All the major brands now offer this function on their mp3 players, with touch screen models becoming especially popular, due to their larger viewing area. If you don’t yet own an mp3 player that plays video, ask at your local store for a demonstration before purchasing. It’s always a good idea to do a bit of research before buying so you can make sure your new device fulfils all your needs. With the right software it’s actually now fairly easy to convert your DVD collection into video files small enough to fit onto your mp3 player. However, in order to limit copyright infringement, many DVD manufacturers have taken measures to stop you doing this. Therefore, the easiest and most reliable way to acquire video for your mp3 player is by purchasing it online and downloading it directly to your computer. Many of the major music download services and even some online video rental sites now offer video downloads for portable devices. And if you’re a little strapped for cash it’s also possible to acquire a lot of video for free through peer 2 peer download services. However, it’s always important to make sure you are not in breach of copyright law before downloading from such sites, as this could constitute a serious offence. The safest and easiest way to get your hands on video files is to sign up to one of the growing number of 100% legal download services. A quick search for ‘movie downloads’ or ‘TV show downloads’ should lead you in the right direction. Technically, any device that plays video files isn’t just an mp3 player. Mp3 is just the name of the most popular format of music file. So, in order to play video your device must support other file formats as well. It is important to make sure that your video files are in a format that is recognised by your device. The two that you’re most likely to encounter are AVI and MP4, which both offer high quality video and low file sizes. You’ll need to know which of these your device recognises and then make sure you only download and transfer those files. A quick look in your instruction manual should shed some light on which file format you are looking for. If you already have video files in an unsupported format, then this need not be a problem. You can convert from one format to another with a small and easy-to-use piece of software known as a video converter. Some players will come with this software included, but if yours doesn’t then don’t worry, they are available to download online. Using them is very straightforward and helpful tutorials are often included, making the whole process an absolute breeze. Follow this simple advice and you’ll be enjoying your favourite videos on the move in no time.